In the final season of the critically acclaimed, award-winning drama, resilient nurse Sarah Nordmann (Marta Dusseldorp, Janet King) finally marries wealthy landowner George Bligh (Brett Climo, Snowy River: The McGregor Saga). But as Sarah takes her place as lady of Ash Park, George’s mother, Elizabeth (Noni Hazlehurst, Little Fish), feels pushed out of the household that she ran for decades. George’s son, James (David Berry, Outlander), returns from abroad to start a business in Sydney, while his daughter, Anna (Abby Earl, The Great Mint Swindle), lives in Hawaii with her sister-in-law (Arianwen Parkes-Lockwood, Underbelly), hiding a secret from the rest of the family. As the Blighs journey back to each other, they face tragedies, betrayals, and new beginnings that will challenge their relationships and change the courses of their lives. 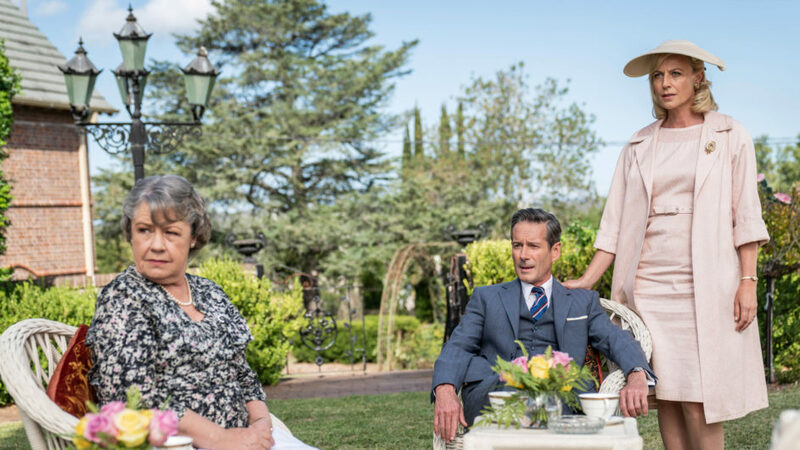 Set in 1959 Australia, A Place to Call Home blends “A-grade period drama” (The Guardian, UK) with “pointed social critique” (The New York Times). The phenomenal cast also includes Craig Hall (The Doctor Blake Mysteries), Frankie J. Holden (Something in the Air), Dominic Allburn (Jack Irish), and Sara Wiseman (Rake).